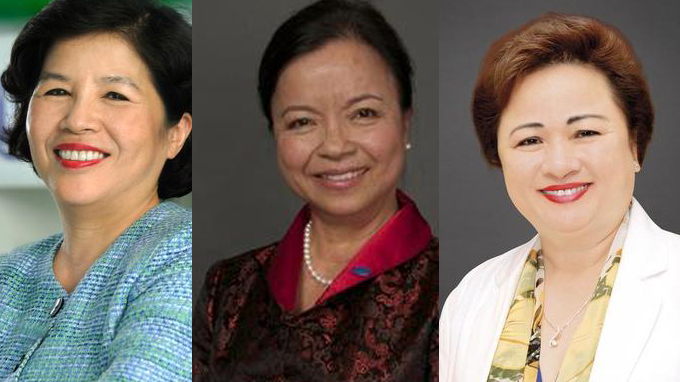 The CEOs of Vinamilk and REE, and the chairwoman of SeABank have been selected as three of the 48 most powerful women honored in the 2014 Forbes Asia Power Businesswomen list released on Thursday. Mai Kieu Lien, CEO of the country’s largest dairy producer Vinamilk, appears in the list at the #23 place, while Nguyen Thi Mai Thanh, CEO of the Refrigeration Electrical Engineering (REE), and Nguyen Thi Nga, chairwoman of SeABank, stands at the #28 and #29 positions respectively. Forbes said the 2014 edition is its third FORBES ASIA Power Businesswomen list so far. This year’s list “honors a cast of 48 women from industries that range from toolmaking to venture capitalism, from construction to lingerie,” the financial magazine said in a statement. Forbes said they have had to make tough choices during the process of researching and compiling the list. The criteria for the list include: company revenue (rarely less than US$100 million, frequently in the billions), the woman’s position at the company (if she’s the boss that’s a big plus) and how involved she is (preferably running operations day-to-day). Lien, 60, is honored for her great contribution to Vinamilk, which Forbes describes as “one of the most profitable brands in Vietnam and a blue chip on the local stock exchange,” referring to its consistent growth in revenue and profit since listing in 2006. Last year Vinamilk posted a 17 percent increase in revenue, raking in $1.5 billion and Lien plans to double that by 2017 as she takes the company global. Meanwhile, Thanh of REE has been working at the company since 1982. The 61-year-old has worked her way from engineer to CEO of this home appliance, construction and real estate company in 1985. She turned the company around by developing Reetech air conditioners. Under her leadership REE was the first company to list on the Vietnam Stock Exchange, in 2000. The final Vietnamese representative, Nguyen Thi Nga, 59, is described as one of Vietnam’s richest women, thanks to her interests in banking, real estate, resorts and retail. Since 2007 she has been chairwoman of SeABank, a closely held retail bank with assets of $3.6 billion. Nga also founded and controls BRG, a holding company with three golf courses in Vietnam. She owns two hotels in Hanoi that are managed by Hilton Hotels Worldwide, and Intimex, a trading and retail company more than 30 percent owned by her family. All of her businesses raked in revenue of more than $435 million last year.